Add to the crowdsourced lessons learned! Watch a quick 2 minute video intro to the app! Join teams of educators and decision makers working hard to accelerate digital learning in schools across the state. Engage and interact in conversations with over 700 attendees including teachers, students, technology coordinators, staff developers, administrators, policy makers, professors, government and industry representatives, as well as national leaders in educational policy and practice. Registration is Closed Filled to Capacity! 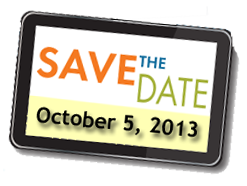 We look forward to seeing you on Oct. 5th! RIDE invites corporations, foundations, and nonprofit organizations providing services to the K-12 education sector to join more than 700 participants in a conference focused on developing digital learning ecosystems across Rhode Island.